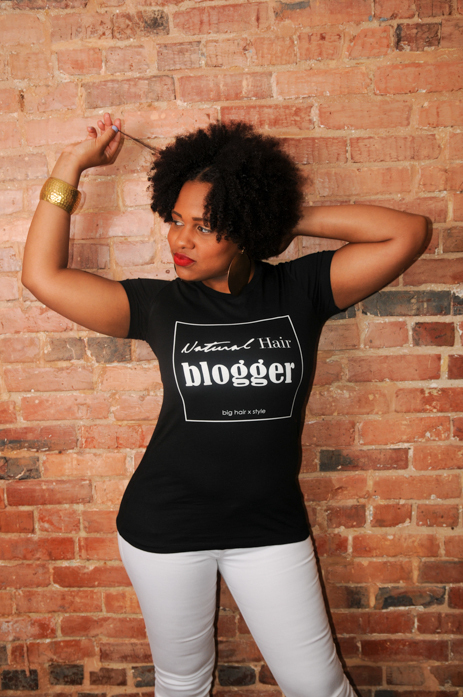 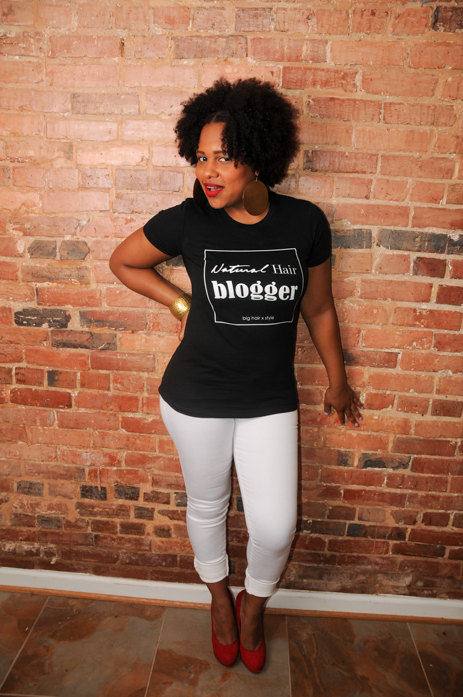 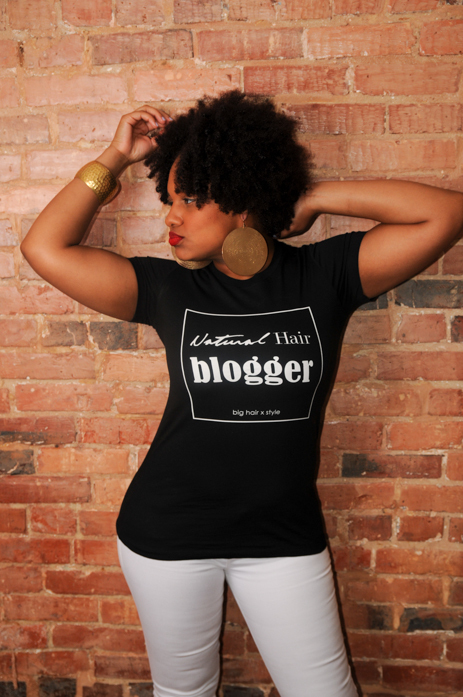 I’m rocking her fitted “Natural Hair Blogger” tee; so appropriate, right?! 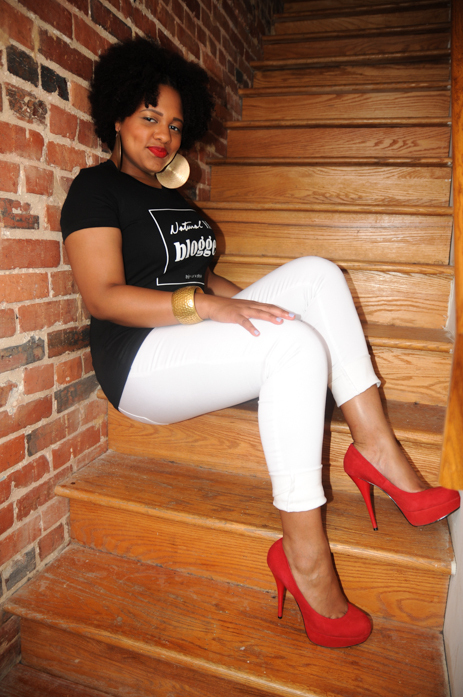 Shout out to Rhea Whitney Photography for the awesome shots! 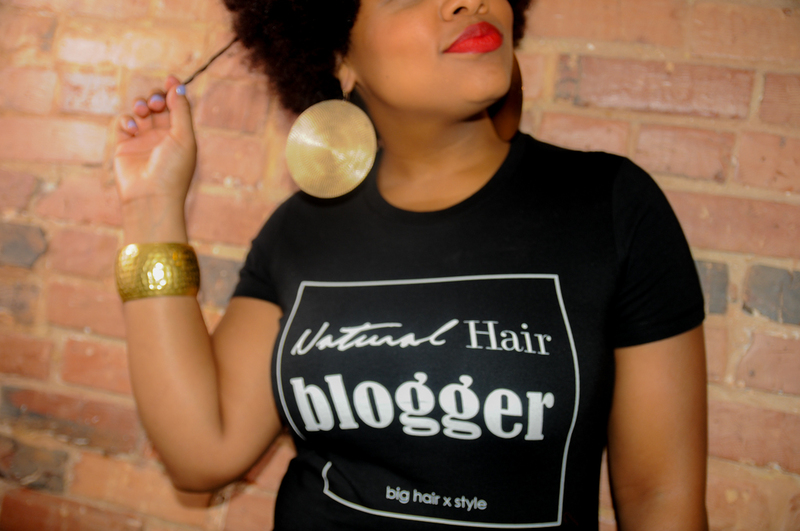 We’re a mix of natural hair and online experts but above all we’re consumers like you and understand how overwhelming and confusing it is to navigate the endless quantity of naturally curly hair products on the market. 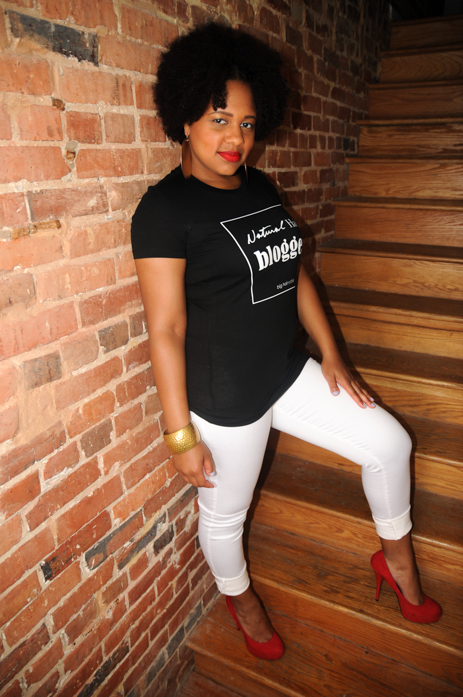 Despite the huge number of products it is still difficult to find quality products for the woman with naturally curly hair.